Do you ever just get tired of life sometimes? Not in a creepy suicidal way or anything - just more that the prospect of waking up tomorrow and doing everything all over again is bordering on painful. This week has consisted of work, rain, boot camp, rain, make dinner, rain, eat dinner, shower, go to bed, rain some more. I am sick of work. I am sick of exercising. Perhaps due to the fact that I actually went to boot camp 2 days in a row this week. Mr. Vittles was surprised, to put it mildly. "Boot camp again?" he asked. "Didn't you just go yesterday?" "Yes," I said, "but it's either tonight or tomorrow morning, because there are no Friday night classes. And I want to do my own thing Saturday and not worry about class." Then, "Are you sure you're not having an affair?" Now there are a few different trainers that run the classes, but the one that runs Thursdays' is BRUTAL. His name is Darrell & he is short, spunky, built beyond belief, and gives the Energizer bunny a run for its money. Ironically, he is also the inventor of the Fat Darrell sandwich. Now with that fact in mind - when we were leaving class today, he praised us for our hard work but warned us "Don't eat too much ice cream on the way home." Since he didn't reference the amount of ice cream I can eat AT home, I guess that means unlimited? Heat coconut milk in medium saucepan over medium heat, and bring to a simmer. Add coffee beans and stir - remove from heat and let steep 30 minutes. Strain mixture into a bowl, and discard coffee beans. Add heavy cream, agave, cocoa powder and Kahlua to the coconut coffee- whisk until smooth. Pour mixture through fine-mesh sieve (gets out any cocoa powder lumps) into the frozen container of an ice cream maker. Freeze according to manufacturer's instructions. Either serve directly from container (will be soft) or allow to ripen in freezer in a freezer-safe container. Makes about 1 quart. 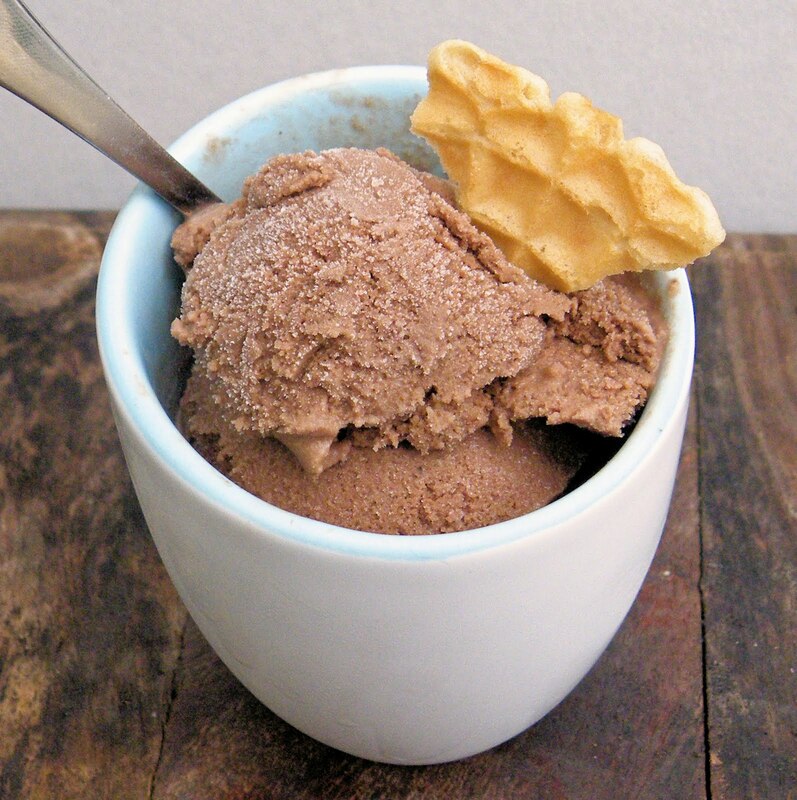 *For those of you that were looking for a non-dairy ice cream - ha, I tricked you! No no, just kidding - you can replace the 1 C. heavy cream with another cup of coconut milk. It will likely get harder in the freezer than the one with cream, so just leave it out on the counter for a few minutes. This sounds so delicious! I LOVE chocolate and kahlua together. When I get an ice cream maker, this will be the first thing I'll make in it! I want to eat 5 gallons of this right now!!!!!!!!!!!!!!!! I think I'm feeling exactly how you are right at this very minute. I'll think about ice-cream now. thanks! I love the idea of ice cream after a work out. Need to get some protein into the diet :) I am seeing more and more coconut milk recipes. I need to get my hands on some. I love this post. You are too cute. I like your interpretation of your instructor's warning. I am impressed by you and sticking to the commitment of attending the classes. Good example. This ice cream sounds so delicious. Yummy! Hope your weekend brings you some happiness and renewed zest for life! There's TOTALLY something in the air! I'm convinced that this week was just funky. Something must be going on planetarily or something! :D. Thank goodness for boozy ice cream! This looks good but I can't use coconut milk. could I use homogenized or cream? Name, using cream should not be a problem ... if you want to use milk, I'd suggest a mixture of whole milk and cream. 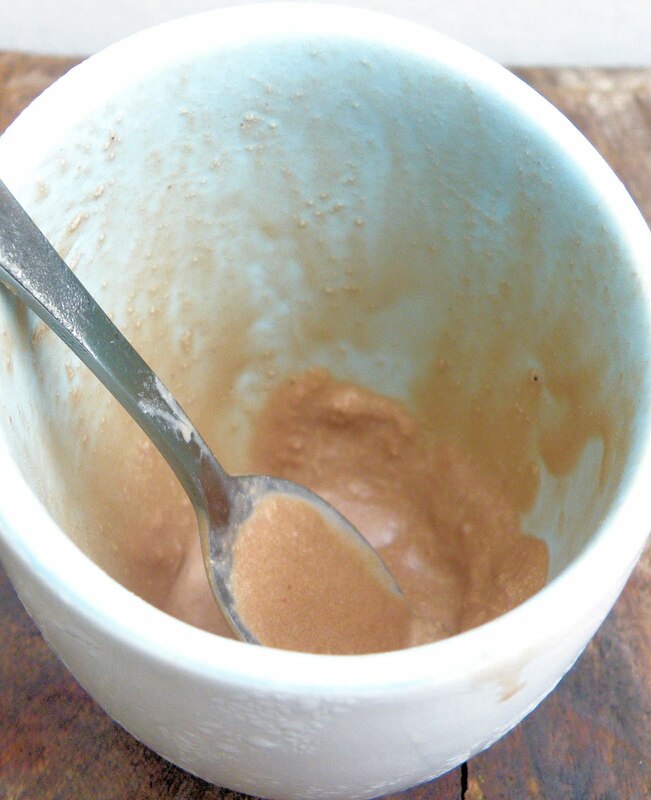 Skim or lowfat milk is too watery, it will likely get hard & ice-like in the freezer. I think I would run an extra mile for this! Sounds amazing! Oh, I always get tired of life (and not at all in a creepy way) but the day to day brings you down so quickly and likes to dog pile. I then fill myself with motivation for other things and usually get annoyed at everything I dont accomplish. Ice cream theough (with kahlua) no one can get tired of that. Kahlua ice cream sounds like a yummy treat to me. Last year, I signed up for an outdoor, four-week long "Bootcamp for Women". Five thirty in the morning, five days a week for an hour, come rain or shine was enough to make even Gandhi feel "life-tired"! Sure, I was about as fit as Rocky by the end of it, but I also didn't want to see exercise for another three months after that. Moderation is my new medium...in exercise anyway. With this ice-cream? Not possible!